This high-quality wooden arbour / rose arch will become the focal point of your garden, and will be a great choice for roses or other climbing plants. It forms a stable base for roses and other climbers, which will create a lovely seating area in the summer. It can also be used to create an imposing entryway. 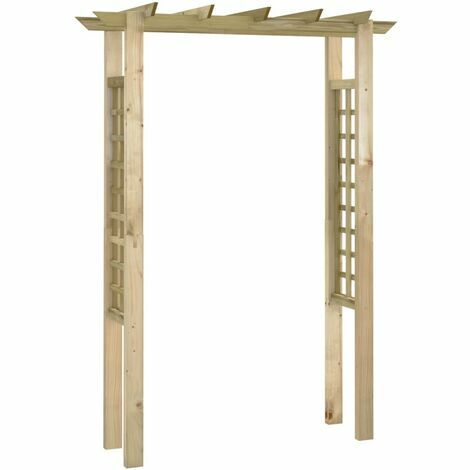 Crafted from FSC-certified green impregnated pinewood, this arbour / rose arch is very sturdy, durable and rot-resistant. Assembly is really easy. Please note that wood is a natural product and can show imperfections.